When you are writing a fiction story, there are many different characters you might encounter. You meet them and get to know them. Some you fall in love with. Then there are those you wonder how you will ever write. They are so evil! But you have to get into their minds. It’s a ride, I tell you. 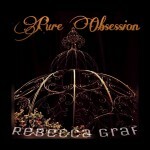 In my book, Pure Obsession (Obsessions Book 1) , I had to dwell in the mind of a sociopath. I’m not just talking a bad guy. I’m talking about someone who doesn’t have remorse and will do anything to get what he wants. Getting into his mind was….an experience. My character, Marcus Critton, is a man who once was a street thug but has become a very powerful man who controls even politicians. Theft and murder are nothing to him. Not something I’m familiar with, I’m afraid. Yet I had to get at least emotionally familiar. I had to write as though I enjoyed the pain and the suffering inflicted on others. Admission time. This was easier to do when I was angry or people were really getting on my nerves, but… I found myself sitting with the family as they watched TV. I was in Marcus’ mind. I had to write as though I was him. Then my daughter would ask me a question. My reaction? I about took her head off. I was not a nice person. I was into the character, and he was coming out in me. To really write a good character, you have to get really close to them. That can be dangerous with an evil mind. I found that I had to be completely alone when I wrote from his viewpoint. I announced to the family that I needed to be undisturbed for a spell. I’d go into my room and shut the door to be ‘alone’ with Marcus. When I was done with his part of the story, I’d chill with a game on my phone or watch a funny TV show. It was my way to transition back to reality and leave Marcus behind. Writing his part of the story had to be done very deliberately which made finishing the book much harder than I realized. But it was so worth it when I hear readers express their extreme dislike for Marcus. They all want to take him down. What a thrill! I don’t really blame him. Marcus is vile. Yet a part of me feels for him. Maybe it was because we were so close for a spell. When he looked at Hannah, he saw someone he loved. Yes, he was obsessive about her, but he loved her. Every action he took was because he wanted her and loved her with all his heart. The problem was like what many other people face in life, just not in such a diabolical sense. Marcus was seeing everything the way he wanted to see it. He saw his actions as love. Therefore she was too see them as love. Yet she saw them as deadly obsession. I see people in my life doing the same thing by being helpful in their eyes but are being controlling or hateful in everyone else’s. Is he really so different than those who hate him? Maybe he kills a few more people…. Marcus is a complex man. Evil he is, but oh so human. You can read about the diabolical Marcus Critton and his obsession with Hannah Harrison in Pure Obsession (Obsessions Book 1) on Amazon in ebook format. Print coming soon. When the Leaves Stop Falling by Kelly Moran Kelly Moran’s Winter’s Path! !